Updated at 5 p.m. PT Aug. 4. 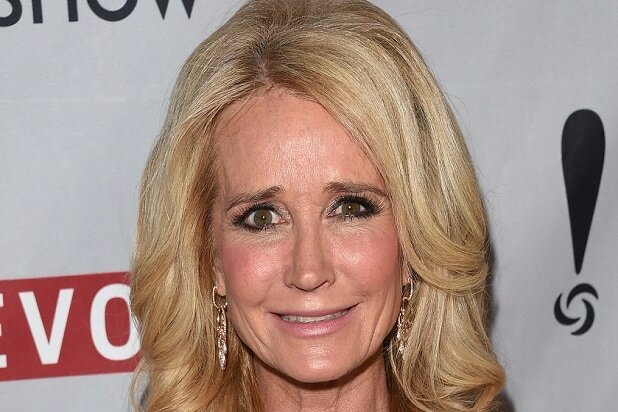 Former “Real Housewives of Beverly Hills” star Kim Richards has landed in legal trouble yet again. The Bravo personality was arrested for shoplifting in Los Angeles on Sunday after being placed under a citizen’s arrest, a spokesperson for the LAPD told TheWrap. Richards attempted to walk out of a Target store with approximately $612 worth of goods, but was apprehended by a security guard in the parking lot. The 50-year-old reality star was taken into custody at 4:25 p.m. PT and held at the Valley Jail in Van Nuys until 1:50 p.m. Monday. She has been charged with a misdemeanor and released on $5,000 bail, according to the Los Angeles County’s Sheriff’s Department website. The latest incident follows Richards’ arrest in April when she was charged with public intoxication, trespassing, resisting an officer and battery of an officer after she allegedly refused to leave the Beverly Hills Hotel during a drunken meltdown. The former child star, who appeared on the early ’70s series “Nanny and the Professor,” has struggled with substance abuse for years and has been to rehab multiple times. Bravo announced in June that she will not be returning to the show next season. If found guilty of the misdemeanor shoplifting charge, Richards could face up to six months in jail and/or a $1,000 fine. ET first reported this story.